When I first became a vegan I remember thinking to myself how easy it was going to be to avoid both sugar and fat from then on as so many cakes and treats contain dairy. 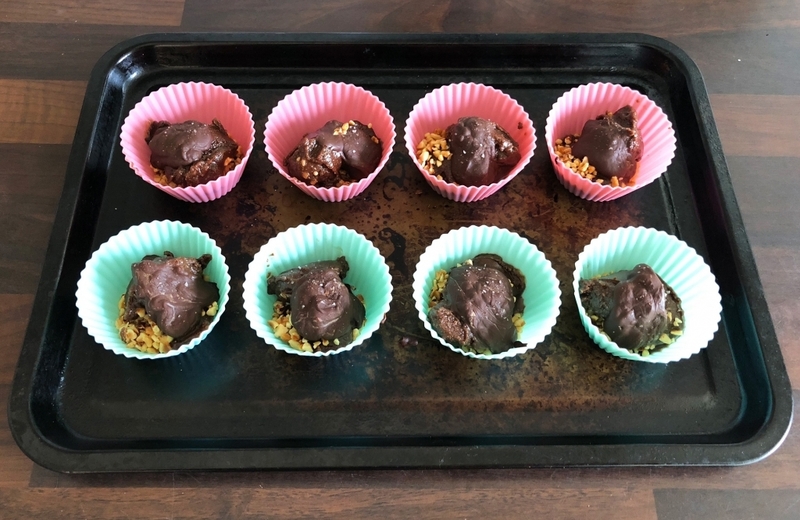 I’ll be honest with you though, whenever I came across vegan sweet treats I felt I should have one ‘to support the cause’… so avoiding sugar and fat was not as straightforward as I thought. We all have our weaknesses! When we think of sweetness we tend to think of sugar, but the sweet taste is actually the most important according to Ayurveda. It’s particularly recommended to balance the Vata Dosha. Ayurveda is a life-science and proposes simple explanations and methods for balancing the body and mind so for example that mid-afternoon crash that we often experience is said to be caused by Vata. Even if your personal constitution isn’t Vata-dominated it is almost inevitable that you are going to be affected by the afternoon energy crash as between 2pm and 6pm is considered Vata time. So what are the signs? Well a Vata imbalance feels like this: mental agitation, depletion, busy-ness, rapid change, doing two things at once… these things probably sound very familiar at that point in the day (Have a quick read of these if you’ve never heard of Vata Dosha or Ayurveda ). A sweet tasting snack around the 3-4pm time provides soothing relief to increase mental calmness so you’re not carried away into the ethers. The difficulty is in finding the sweet taste whilst avoiding food or drinks that contain refined sugar or corn syrup as these aggravate Vata and can therefore leave you feeling a lot worse. They are compounds that interfere with the absorption of vitamins, minerals and other nutrients – the exact type of sweetness that we want to avoid! So, keeping that in mind. What can we snack on that’s sweet but not refined? Well, I have a couple of quick suggestions that can be utilized if and when required. The first one is these hearty Nutella Cups. Layer it up, refrigerate for 10 mins then devour it! I eat potatoes. uh-huh. SWEET potatoes to be precise and I just add my favourite spices. It’s easy. I slice, arrange, sprinkle on spices, add a dollop of ghee. Then bake in the oven for 15-20 minutes. The outcome? A delicious, velvety, sweet and spicy teatime appetizer. You can enjoy with a main meal or as a healthy snack. The choice is yours. And indeed, there is nutritional value – sweet potatoes assist in stabilizing blood sugar, are high in antioxidants and boost brain function making them the perfect afternoon pick-me-up. Not convinced? Don’t knock it until you’ve tried it! So often potatoes are served deep-fried, salted and in massive portions but these are loaded with nutrients and are absolutely good for you so I’m sure you will l.o.v.e. Them. trust me. Go ahead, experiment for yourself and share your thoughts! I’ll sign off now so I can go and enjoy my snacks.